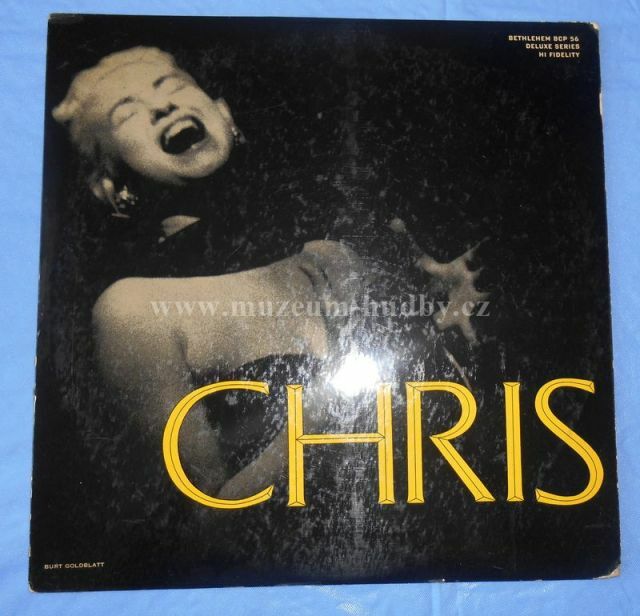 With "Chris" Chris Connor started with new excellent image, after Stan Kenton`s days. 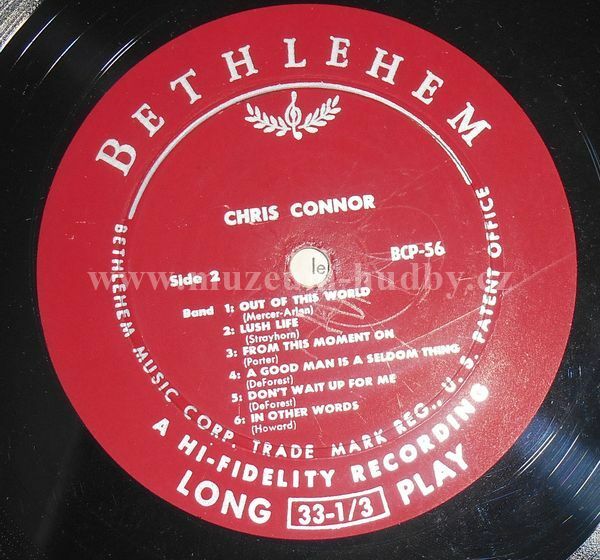 For me, the best of Chris Connor! 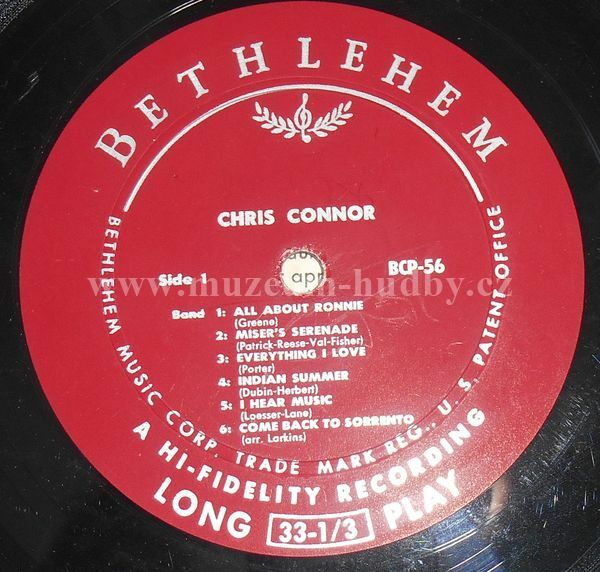 Chris Connor's first album as a solo artist is great one. Her breathy, raspy quality is fine form. She is backed by Sy Oliver and other all star performers. What's nice about the cd re-issue is the alternate takes. You can hear how she hones her craft. True, this album finds her in her beginning stages, but her earlier works can be considered her most satisfying. Though her tenure with Bethlehem records was brief, due to numerous battles with the record company, it is still some of her most satisfying work. 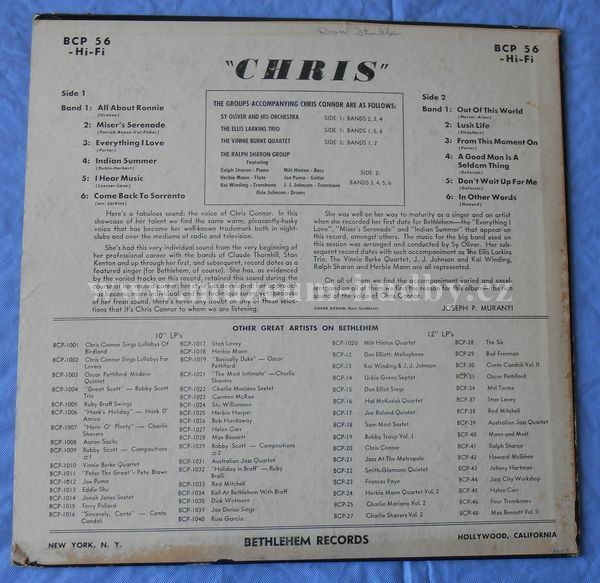 Her third remake of All About Ronnie (couting the two she did with Stan Kenton, the first of which went unreleased, unfortunate since it's without question her greatest version, is available on the Mosaic set The Complete Stan Kenton Holman and Russo Charts) is done with a trio backing instead of the big band fashioned by Kenton. It's a more intimate version, but her phrasing is not as soft or romantic as it was in the first unreleased version with Kenton. Some highlights are the obscure songs, particularly Don't Wait Up For Me. A great jazz song that is practically unknown. I'd go as far to say that Connor owns this song. I can't imagine another version as definitive as this one. A great album. Rush out and grab it.